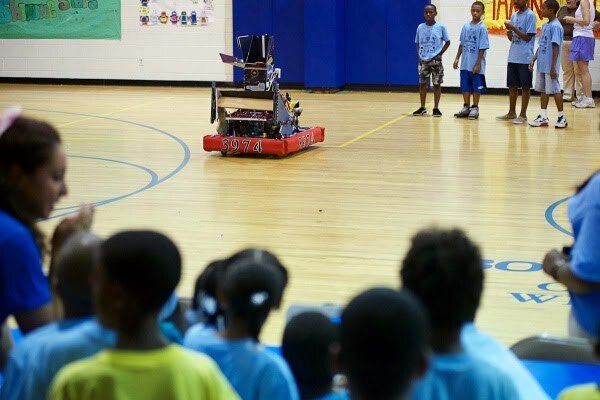 McDevitt’s Robot SharyByte joined team 433, the Firebirds from Mount Saint Joseph Academy, with 2 more outreach visits with. Here is SharkByte showing off for the club members. 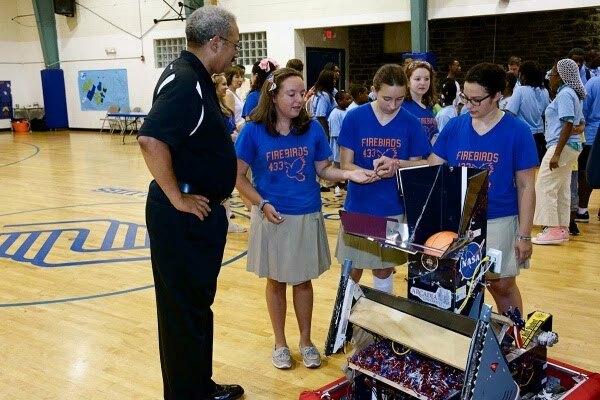 Here is Congressman Chaka Fattah with SharkByte and the Firebirds. Congressman Fattah, who spoke at the FIRST Championships, has been instrumental in creating this alliance. 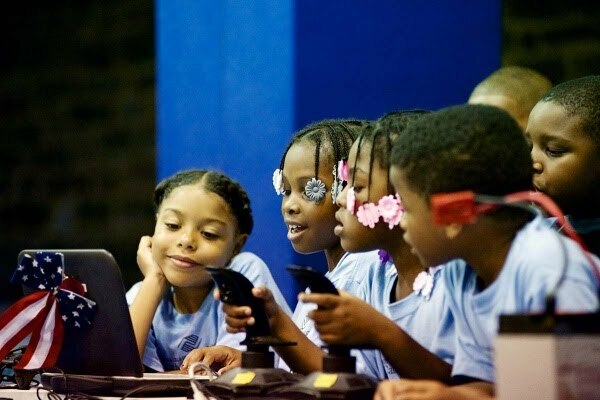 The McDevitt robotics team is looking forward to helping the Boys and Girls Clubs get started with FIRST. Later in the month, SharkByte traveled to Lake Nockamixon to visit campers at Camp Oasis. Camp Oasis is run by the Crohn's and Colitis Foundation of America (CCFA) where kids with this illness can have a fun place for learning, playing. The McDevitt robotics team was very happy to help the Firebirds with this outreach. 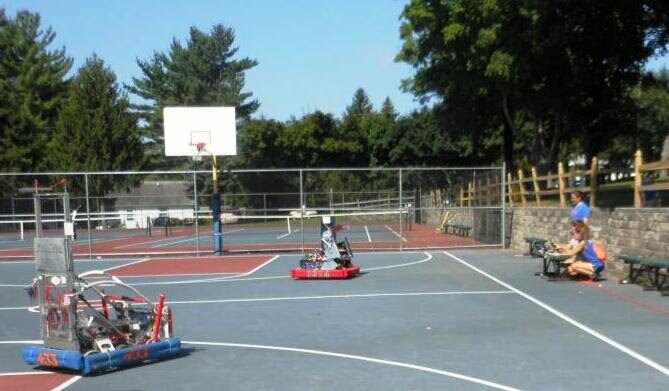 Here are some kids from the camp driving robots on the basketball court.